It pays to ignore naysayers especially when one is young, dumb, ambitious, and on a mission. In this case I was on a mission to interview Patrick McManus, a New York Times best-selling author and humor writer. A long-time columnist for Field and Stream and Outdoor Life Magazines, McManus wrote about guys who got lost in the woods and the trials and travesties of wiring trailer lights. I’m a late gamer to the McManus fan club, being first introduced to his work in 2012. But his magnificently written stories engaged me. Two of his works, The Grasshopper Trap and A Fine and Pleasant Misery, are my favorites. Both books are on my perpetual repeat reading list. I can’t contain ear-to-ear grins when lapping through the pages. I was fortunate to meet McManus when I scored an interview in 2013. I had no reason to be in Spokane other than to meet him. 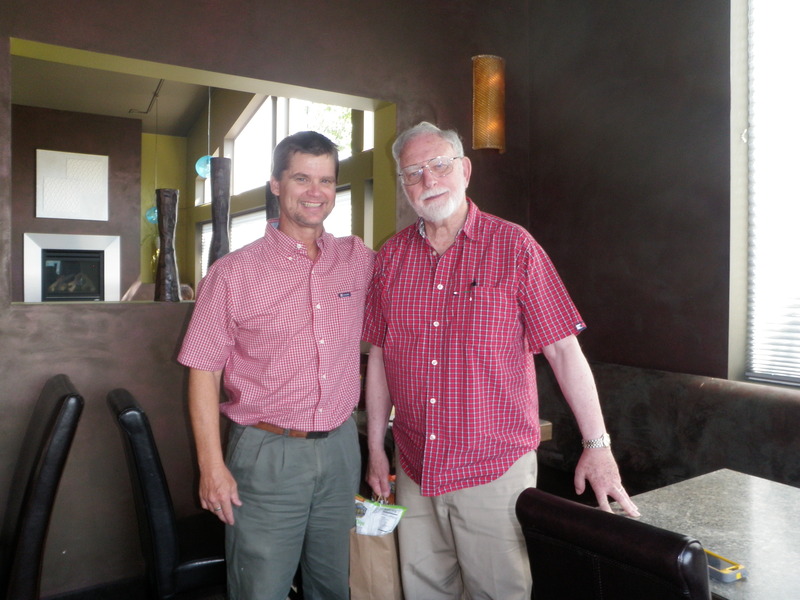 With no relatives in eastern Washington and no business purpose for driving eight hundred miles (one-way) I was hungry to meet this master humor writer. He bought me lunch. The man had me in stitches at hello. My feature entitled “Eighty year old Patrick McManus Still Hunts for Laughs” is one of his last interviews. Patrick McManus passed away April 11, 2018 at age 84. America has lost a gem. The Mark Twain of the Northwest has laid down his pen. For more tributes read these pieces from the Spokesman-Review (Spokane, WA) and the Minneapolis Star-Tribune. Thanks Pat for giving me your time and for giving the rest of us your stories. You’re still with us in print. Readers may contact me at the Etc.Guy Facebook page.